New Zealand is famous for its wildlife, and the South Island in particular is rich in natural history. Whales & Wildlife in Christchurch and Canterbury make it a magnet for marine lovers and birdwatchers, who flock here in their thousands. The easy accessibility of Christchurch Whales & Wildlife makes the area a haven for nature lovers. Kaikoura is the centre of New Zealand's whale watching industry. There are at least a dozen operators in this small seaside town, who offer whale watching charters out into the bay. But it isn't just whales you can see. Dolphins, seals, shearwaters and dozens of other sea creatures, permeate the waters, cliffs and rocks here. Seal colonies are a big draw in Kaikoura – you can even go seal swimming here - and it's one of the country's most important eco tourism centres. On the Banks Peninsula, you can join some marine charters out of Akaroa. This is where to come to see the world famous Hector's Dolphin. 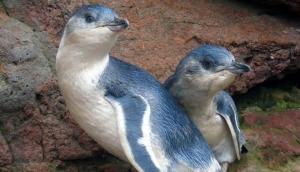 Nearby is also the penguin colony at Pohatu. Inland, there are wildlife reserves and public farmyards at Willowbank, Waimate and Springfield. Great for birdwatchers, kiwi fans, and those who don't like getting wet.